In 1952 Alfred Kroeber and Clyde Kluckhohn published their seminal work “Culture: A Critical Review of Concepts and Definitions”. They provided a systematic overview of 164 definitions of this anthropological key concept. I did not find as much definitions of social media and furthermore the differences between definitions social media are far smaller than the differences between different concepts of culture. Marc Smith: “Collective Goods produced through Computer-Mediated Collective Action”. I’m planning to put together a systematic overview à la Kroeber/Kluckhohn. But to do this, I’m still looking for further ways to define social media. So, whose definition is still missing? Any tool or service that uses the internet to facilitate conversations. 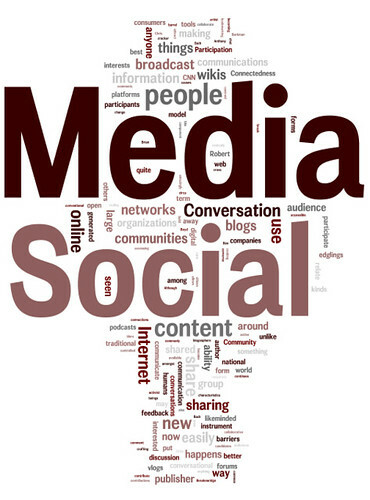 Social Media is the democratization of information, transforming people from content readers into publishers. It is the shift from a broadcast mechanism to a many-to-many model, rooted in conversations between authors, people, and peers. Traditional media is broadcast–one way. Social media enables interactions. What comes out of those interactions should be described by other terms–conversation, empowerment, marketing, therapy, etc. @Monika Thanks for the link. I added their definition to the list. @Brian I like your definition. But I’m not sure about the strong focus on conversation. The conversational dimension is very important, but social media also allows for new ways of managing social relationships, knowledge or personal identities. For me, Wikipedia is a very important part of social media. But conversation is just a subordinate element of the encyclopedia. I’d prefer a more encompassing concept of media that is not only about content and conversation. @Barry I think empowerment is a very important aspect of what social media can lead to. Thanks for including our definition of “social media’ in your study. This was posted by Benedikt on Friday, November 14th, 2008 at 6:22 pm. Bookmark the permalink.